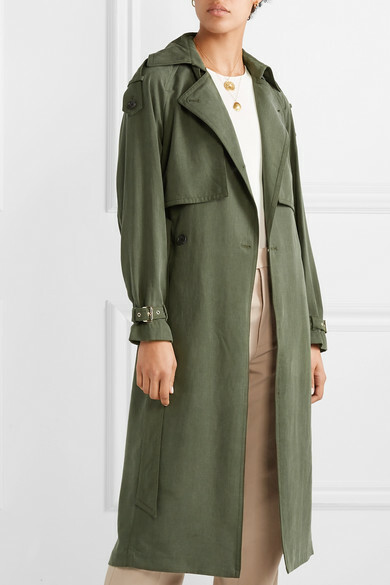 MICHAEL Michael Kors' trench coat is perfect for transitioning through the seasons - the loose fit means there's plenty of room for layers, while the lightweight feel will keep you comfortable on days it's unusually warm. 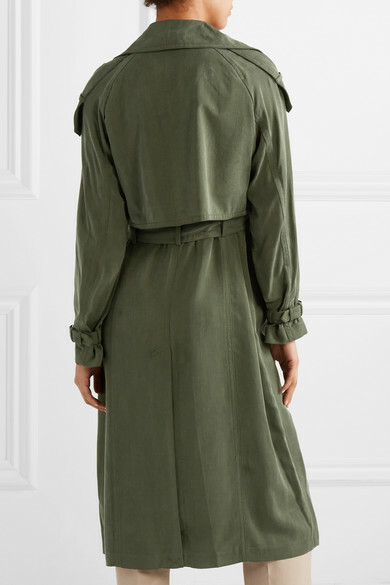 Woven from soft Lyocell, it has traditional storm flaps, shoulder epaulets and buckled cuffs. 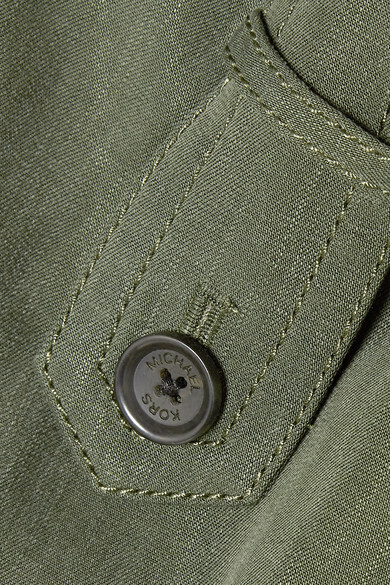 The army-green hue will go with just about everything in your closet. 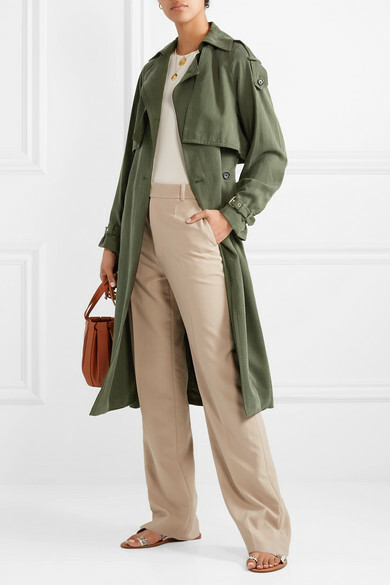 Shown here with: Helmut Lang Tank, Helmut Lang Pants, LOW CLASSIC Bucket bag, Diane von Furstenberg Sandals, Alighieri Necklace, Sophie Buhai Earrings, Alighieri Necklace.